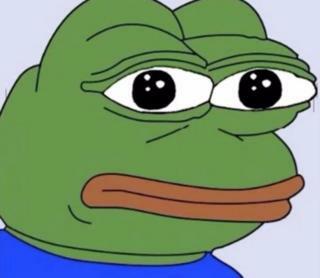 Online cartoon Pepe the Frog has been added to the Anti-Defamation League (ADL)'s database of hate symbols. Pepe has recently been depicted as Adolf Hitler and a member of the white supremacist KKK. Pepe made his debut in 2005 in artist Matt Furie's "Boy's Club" cartoons. Since then, pictures of the creature have spread through the online communities 4chan, 8chan, and Reddit, where users can post an image for others to comment on. These are mostly used to express emotions or experiences, but some racist and anti-Semitic versions have spread virally on Facebook and Twitter. "These anti-Semites have no shame," ADL's chief executive Jonathan A Greenblatt said. "They are abusing the image of a cartoon character, one that might at first seem appealing, to harass and spread hatred on social media." The Alt-Right has claimed Mr Trump as its presidential candidate of choice. The mogul has not approved it, but did re-tweet a caricature depicting him as Pepe the Frog in October 2015, with the caption "You Can't Stump the Trump". The frog made headlines in mid-September when Hillary Clinton said most of Mr Trump's supporters belonged in a "basket of deplorables". The Republican's son Donald Trump Jr shared an altered version of the movie poster for "The Expendables", which showed Pepe with his father and other conservatives, labelled "The Deplorables." Mrs Clinton's team duly released a post titled "Donald Trump, Pepe the frog, and white supremacists: an explainer" claiming, "that cartoon frog is more sinister than you might realize". In May 2016, the Daily Beast quoted an anonymous white nationalist saying that a campaign was under way to "reclaim Pepe from the normies" - internet slang for mainstream users. "The mere fact of posting a Pepe meme does not mean that someone is racist or white supremacist," the group said.